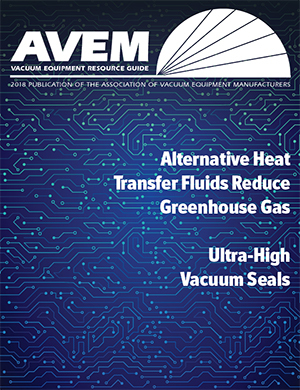 This program, developed by AVEM in cooperation with JVIA (Japan Vacuum Industry Association), EVTA (European Vacuum Technology Association), and SEMI (Semiconductor Equipment and Materials International), collects sales data on vacuum components for North America, Japan, Europe, and the rest of world on a quarterly basis. For these four regions of the world, vacuum market segmentation sales data by product is collected annually. • AVEM is constantly striving to improve the quality of the data collected. The data is processed in a strictly confidential manner through the services of the AVEM data analyst and the CPA accounting firm. Data submitted by a specific company cannot be identified in the final report. • Consolidated data for each category is presented in tables which illustrate trends and movements in the market. This format allows members to determine the product areas that have potential for growth. Thus, the statistical report assists in planning and updating marketing strategy for each Member company. • Consolidated quarterly reports are only available to members who participate in the statistical reporting process. 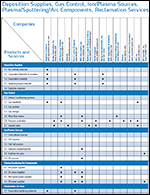 • Reporting forms for vacuum pumps (sheet 1 of 4), vacuum instrumentation (sheet 2 of 4), vacuum hardware (sheet 3 of 4), and other sales of vacuum components and services (sheet 4 of 4). Members complete these forms each quarter and submit them via e-mail. This AVEM program, for the U.S. market only, collects detailed data on sales and units for specific product lines, for seven different vacuum markets, on a quarterly basis. Members: These Addenda for specific product lines are completed each quarter.